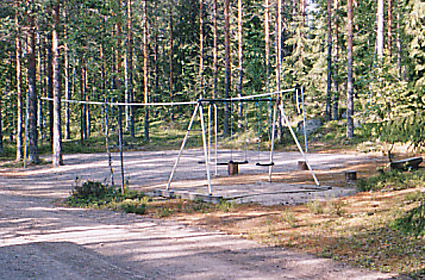 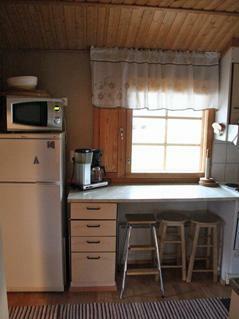 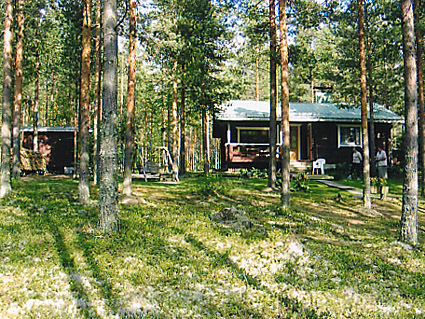 240 km north of Helsinki. 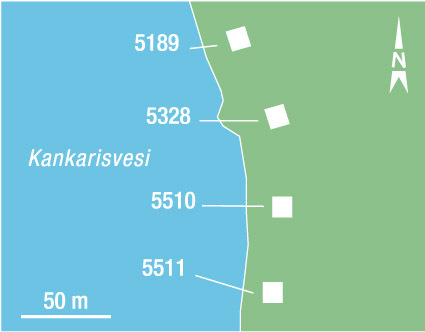 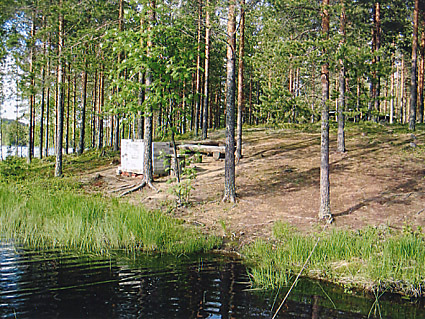 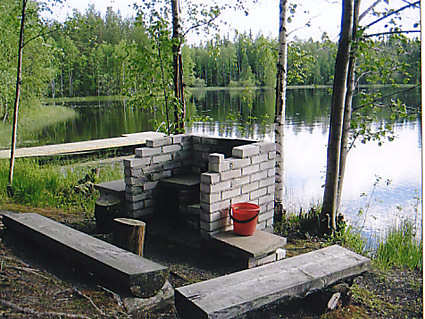 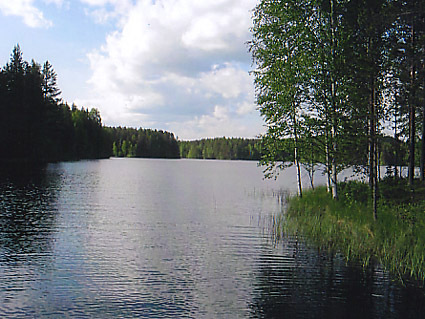 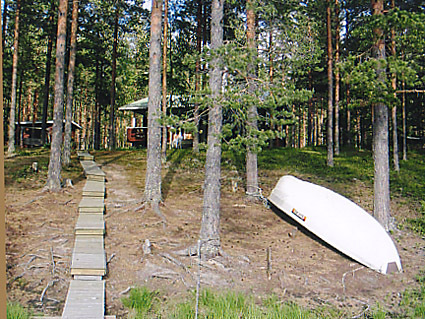 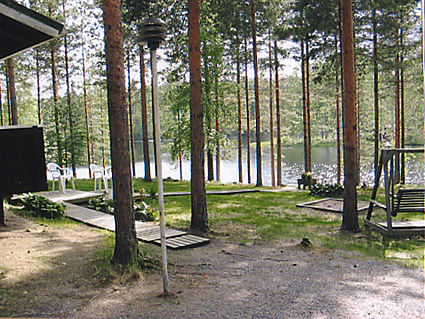 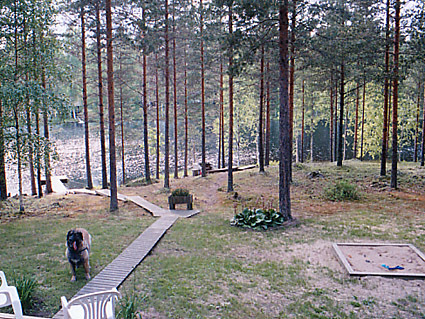 Lake Kankarisvesi 20 m (length 10 km, breadth 500 m), shallow water, firm sandy bottom, own boat and jetty. 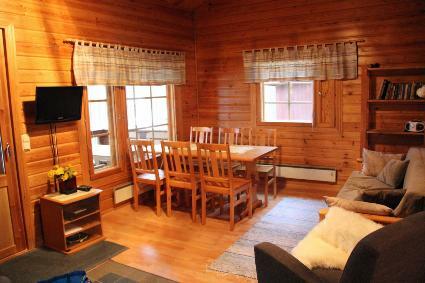 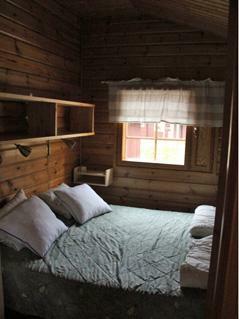 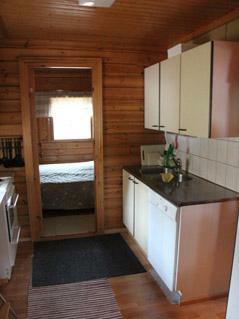 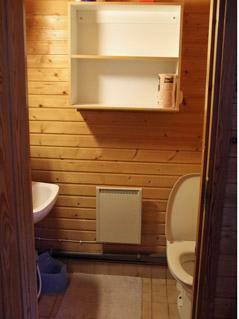 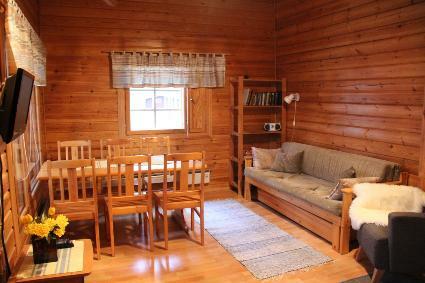 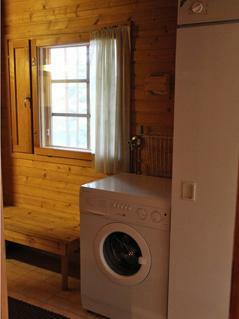 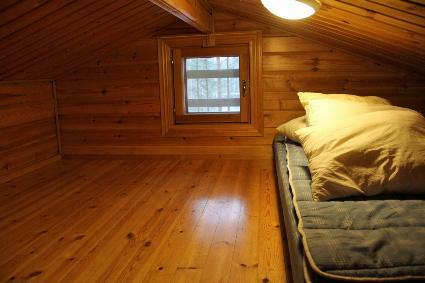 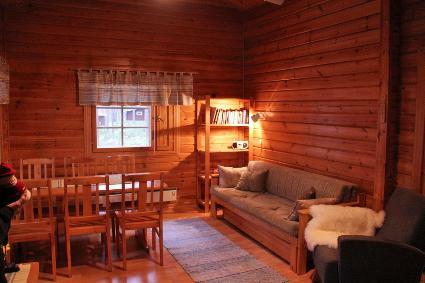 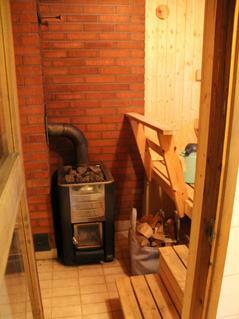 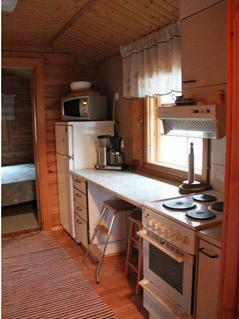 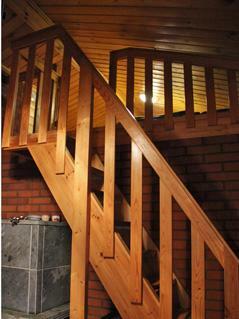 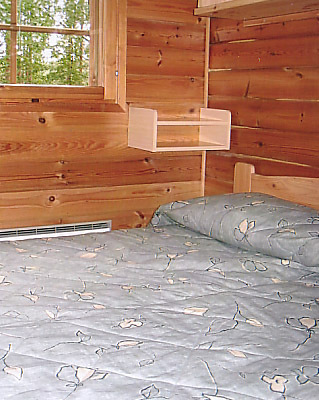 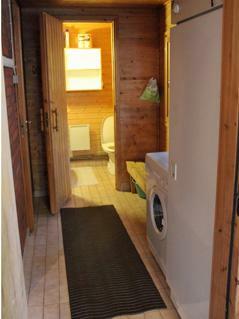 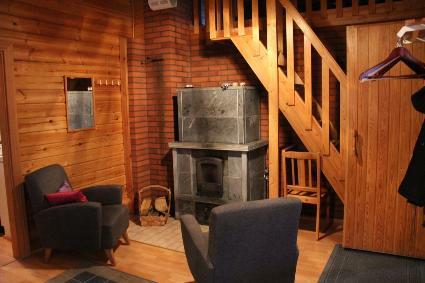 Log cabin 1992, kitchen, living room with convertible sofa bed for two, 2 bedrooms with double bed in each, low sleeping loft with 2 mattresses, dressing room, washroom, sauna, open veranda. 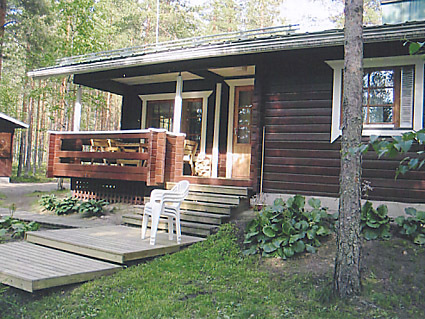 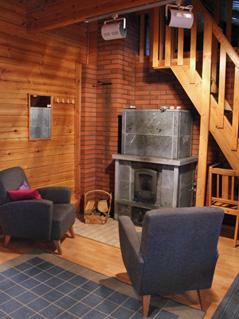 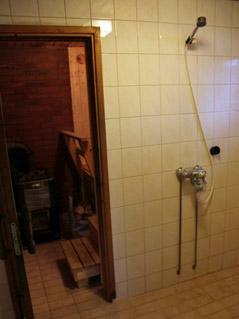 Location by pure watered lake Kankarisvesi which has family friendly, shallow, sandy bottom.